When you sign up for a new doctor, fill in a medical form for a new job or even apply for travel insurance for your next summer holiday you’re usually asked whether a number of physical conditions such as heart disease, diabetes or common cancers have affected your immediate family members in order to give your doctor/employer/insurer a better idea of your overall physical health. Biologically we’re closer to our immediate family, than any other person on the planet – even family we have never lived with, or even met – due to our unique genetic make-up. But what about our mental health? 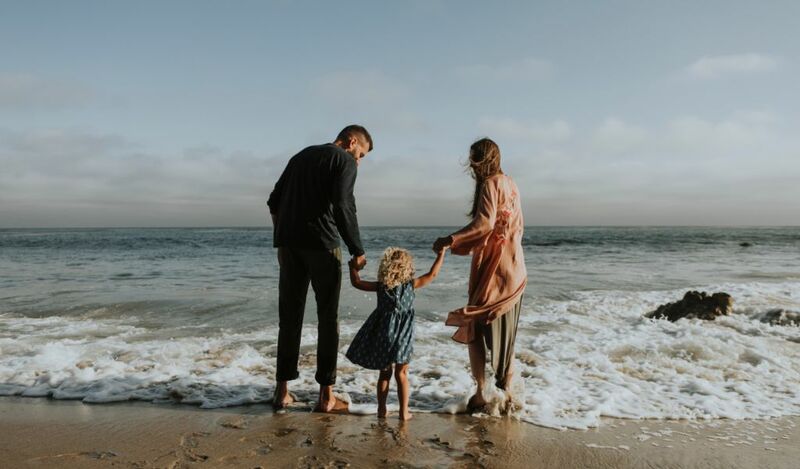 Over the past few years the idea of whether or not poor mental health runs in families has been greatly explored, with many studies suggesting that parents who suffer with mental health issues, often find their children also struggle with similar problems. But is it a behaviour we have learned from our loved ones, or something we have inherited biologically? Nature vs nurture: which leads the way? Ever opened your mouth and heard your mum’s voice come out? – A lot of us are more similar to our parents than we would like to admit. Whilst our likes, dislikes and preferences may differ – often the family we grow up around and the people we live with shape our futures in ways we might not realise. When it comes to mental health running in families, previously it has been difficult to determine whether or not we have simply learned the behaviour through primary and secondary socialisation, or whether or not it was passed onto us from our parents in the same way that heart disease and other physical health problems can be hereditary. Most recently, a study in the UK found that Dads who suffer with post-natal depression are more likely to have daughters with mental health issues when they reach 18 years of age. However, the study found that boys with fathers who suffered the same mental health issue, were often unaffected – suggesting it is a behavioural trait that is possibly linked to specific aspects of a father daughter relationship throughout adolescence, rather than a biological factor. However, a number of other studies have suggested that like some physical conditions, mental health can be passed on from parent to child in the same way that diabetes or heart disease might be – especially when it comes to long term mental health conditions such as bipolar disorder or clinical depression. Sky News recently reported that five well-known mental health conditions – including autism, attention deficit hyperactivity disorder, clinical depression, bipolar disorder and schizophrenia – were found to be genetically linked. The study examined the genetic sequences of over 50,000 people – 30,000 people who suffer with one of the conditions mentioned above and 27,000 who didn’t have any of the conditions. The study concluded that all five conditions may share common genetic risk factors – suggesting that these particular mental health conditions can, in fact, be passed on genetically from parent to child. Researchers stated that at this stage it is still unknown whether or not more common mental health conditions such as depression or generalised anxiety disorder also share genetic variations. King’s College London (KCL) have also been exploring the relation between genetics and mental health, with a number of different studies taking place over the last few years which have proved a genetic contribution towards poor mental health. Often physical conditions that are passed on genetically are carried on one single gene, however mental health conditions are often carried on a group or combination of different genes – making it a lot more difficult to study the connection between parent and child. Whilst research is still in the very early stages, it has already found over 108 gene changes in those who suffer with schizophrenia, nine in those who suffer with depression and 20 in people who suffer with bipolar disorder – with scientists expecting to find many more throughout the study. Once we have a better understanding of how mental health issues can be passed on from parent to child, it could make both diagnosing and treating mental health conditions much easier in the future. If you’re suffering with your mental health, it’s never too late to ask for help and stop suffering in silence. Online therapy offers a unique opportunity to access professional psychology services – from wherever works for you, whenever it works for you. Without the need to attend physical appointments, therapy needn’t disrupt your day and can be easily tied into even the busiest of schedules – whether you take part in a session at your desk on your lunch break, on the sofa on your day off or in the car at your favourite beauty spot. My Online Therapy is the UK’s first interactive therapy platform – offering everything you would expect from a traditional clinic, at a time and place that suits you. Unlike through the NHS there are no long waiting lists and without a “bricks-and-mortar” clinic to maintain the cost is a lot less than through traditional therapy clinics. If you want to learn more about our app, the services we offer and how we could help you – visit our website or download the app from your app store to get started.